even do the claim for you! Health & Safety eLearning Courses Courses are available at Level 1, 2 & 3 with 3B Training. Each course covers a range of elements of health and safety in the workplace. UKATA Asbestos Awareness eLearning Courses will provide delegates with a better understanding of asbestos and its dangers and how it affects the construction & utility industry. Health & Safety NVQs are ideal for those who work as a health & safety professional and are looking to get qualified in their field. Make sure you and your company are GDPR compliant with our GDPR Training eLearning Courses. Security Training Courses are designed to qualify those who work in the private security industry and ensure that they conduct their work competently. Our Professional Qualifications (BTEC & NVQs) are for those who are looking to enhance and improve the quality of their workplace skills. All of our CPCS and NPORS Plant Training courses are delivered by a range of selected partners nationwide. We are a multi-accredited health & safety training company, 3B Training is able to deliver high-quality Health and Safety courses throughout the UK. We offer a range of courses including First Aid, Fire Warden, Asbestos Awareness, NEBOSH and IOSH. Also, we deliver a range of Site Safety Plus CITB courses such as SSSTS and SMSTS. We have specialist training venues in Wigan, Derby, Liverpool, Tamworth, Preston, Manchester, Sheffield, Colchester, Durham, Leeds, Portsmouth, Basildon, Guildford, Doncaster, Watford and Hull. We also work in partnership with other training providers in order to offer other courses that aren’t available at a 3B centre. Our team can source and organise training for you. We can do this by negotiating excellent rates meaning you don’t have to. We also offer price matching, we will price match any genuine quotation on health and safety courses. For full terms and conditions click here. We work hard to increase our product knowledge and the ability to understand your needs. All of our advisors have personally attended a number of the courses we offer. Courses included; NEBOSH, IPAF Elevated Platform Training and the SMSTS. As a result, this provides our employees with the knowledge to answer most questions asked. Our Director Mathew Bewley is Fit2Fit accredited. This has allowed him to deliver courses as well as training to our internal staff in how to face fit test. Our employees now know how to fit delegates with respiratory masks perfectly to their faces. This ensures that there are no leaks in which dust and fumes can get in. The fact we can do this ourselves gives us the benefit of saving on the cost of tutor fees by doing it in-house. The future appears bright for 3B Training. We will continue to aim to grow until we are the UK’s leading health and safety provider. 3B Training’s primary goal is to help deliver an efficient ‘One Stop Shop Training Service’ to clients and delegates at competitive prices. If you’re looking to hire an apprentice, Gen Z is your hunting ground: they make up the vast majority of apprenticeships candidates today. Don’t be fooled into thinking they spend all their time glued to their phones, though: Gen Z is a vein of untapped potential. 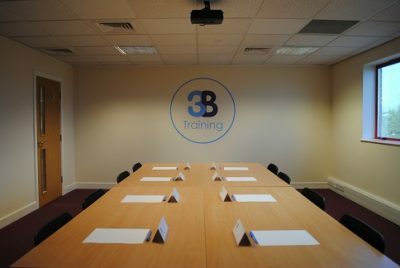 In April 2019, 3B Training expanded further by opening a new centre in the south and upgrading its office in Preston. If you are suffering from work-related stress, it is important to know ways you can reduce it. Take a look at some ways to help you reduce your work-related stress here. Many people in today's climate believe that a mental health first aider and physical first aider should be seen as equals. Although this is the case there is no mandatory requirement to have a mental health first aider on site in a workplace. We now offer a range of Highfield accredited Personal Development eLearning courses which cover a range of mandatory aspects of the workplace. Find out more about the Personal Development courses here. Are we thinking about the “Health” in Health & Safety? read more - https://t.co/fp6nPqR9ki https://t.co/1Ng9xGwR5t April 25, 2019 from Hootsuite Inc.
Find out more about the meet the buyer event in Preston here - https://t.co/56y7pZD88L https://t.co/gTDG0exB5h April 25, 2019 from Hootsuite Inc.
As it is #StressAwarenessMonth we are offering Stress Management eLearning for ONLY £5 throughout April! Book onl… https://t.co/mGFT3KE85l April 25, 2019 from Hootsuite Inc.
Not only is it environmentally responsible to be greener at work, its good for business. You don’t have to jump to… https://t.co/0EAly9szl8 April 25, 2019 from Hootsuite Inc.
Take a look at how you can use Enhanced Learning Credits (ELCAS) to fund training as a current or ex-service member… https://t.co/iC6Mqs6iX1 April 24, 2019 from Hootsuite Inc.